Yes, there has been an embarrassment of riches in terms of revelations of pretty awful behavior on the part of some of psychiatry's key opinion leaders. Next week, after a Thanksgiving break, I will have plenty to report, including my impressions of Dr.
Frederick Goodwin based on his fairly outrageous comments during an APA symposium in which he and I were co-participants. Until then--happy turkey day to all. Individual physicians and institutions of medicine, such as medical schools, teaching hospitals, and professional organizations (including state and medical specialty societies) must not accept industry funding to support professional education activities. That report was debated in an AMA reference committee (a committee which debates issues before bringing them before the full house of delegates), and after hearing from a slew of medical education companies, the committee recommended tabling the proposal for further review. Since then, Dr. Mark Levine, the chairman of the committee, ended his term and was replaced by Dr. Regina Benjamin. Apparently, one of the committee members (not Dr. Benjamin) told journalist Dave Kovaleski that while the next version of the report will not be released until next June, an interim report makes it clear that industry funding will continue in some fashion or other. That's clear enough. But in a strange twist, CEJA is now calling for comments as they prepare the final report. They've already given us the punchline, and now they want input? Medicine’s autonomy and authority to regulate itself depends on its ability to ensure that current and future generations of physicians acquire, maintain, and apply the values, knowledge, skills, and judgment essential for quality patient care. To fulfill this obligation, medicine must ensure that the values and core commitments of the profession protect the integrity of professional education. In May, this ethical core struck CEJA as being inconsistent with industry funding of medical education. What appears to have happened is that ethics (CEJA) has married expediency (the CME Committee.) The final report will therefore be a moral compromise. This does not make me proud of my profession. As covered in the business section of Tuesday’s New York Times , an FDA advisory committee has accused the agency of doing too little to warn physicians about the dangers of prescribing newer antipsychotics to children. The committee reviewed data showing that more than 389,000 children and teenagers were treated last year with Risperdal, the majority of them 12 years old or younger. 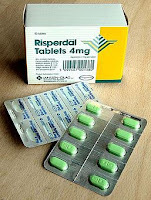 Risperdal is one of five newer atypical antipsychotics, drugs which comprise the bulk of antipsychotic prescriptions to both adults and children in the U.S. While the atypicals have been extravagantly profitable for drug companies, a series of recent studies have shown that they are no more effective than older generic antipsychotics, and that some incur a higher risk of weight gain and blood lipid abnormalities. The most recent of these studies focused specifically on children with schizophrenia and schizoaffective disorder. In that study, the atypical drugs Risperdal and Zyprexa were no more effective than the generic molindone, and the children on the newer agents suffered significant weight gain—13 pounds on Zyprexa and 9 pounds on Risperdal over only 8 weeks of treatment. Molindone caused less than a pound of weight gain. "Dr. Laughren of the F.D.A. said the agency could do little to fix the problem. Instead, he said, medical specialty societies must do a better job educating doctors about the drugs’ side effects." Hmmm. Now that is going to be a tall order, considering that over half of all medical education courses in the U.S. are funded by drug companies. The medical specialty societies reap millions per year in “industry supported symposia,” which are CME courses certified by the medical societies, paid for by drug companies, and which are subtle advertisements for the sponsor’s drugs. What is the FDA doing about this corruption of medical education? Absolutely nothing. Instead, they have given this responsibility to an agency called the ACCME. The ACCME is independent of the FDA, and is funded almost entirely by organizations that have a vested interest in continued drug company funding of CME. Because of this, it has presided over an incremental approach to regulation that has moved at glacial speed. Meanwhile, children on antipsychotics are becoming obese. It is time for the FDA to get involved in regulating doctors’ education. I suggest that they immediately form a task force to investigate why the ACCME is moving so slowly to get industry influence out of medical education. Let’s get real about this issue. Our health, and our children’s health, are at stake. Yesterday, in a historic victory for physicians and patients, the First Circuit Court of Appeals unanimously upheld New Hampshire’s Prescription Confidentiality Act, which prohibits drug reps from using prescription information for pharmaceutical detailing. This is a huge victory. While both Maine and Vermont have passed anti-data mining laws, industry-funded lawyers have challenged the laws on the basis that they violate the First Amendment protections on free speech. 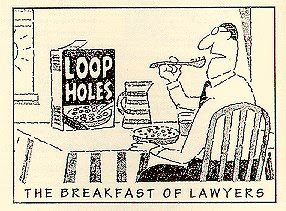 In fact, these same lawyers were able to convince a district court to strike down the New Hampshire law in April 2007, and since then, according to this article by the Associated Press, many other states have frozen their efforts to regulate this sleazy marketing practice while they wait to see how courts rule. You can almost hear the great clicking sound of dominos falling as the 18 other states considering anti-data mining laws get back to work on them. Click here for an excellent fact sheet on prescription data-mining, courtesy of the Prescription Project. I have covered this issue from various perspectives here. Let's hope that drug companies will use the millions they were spending on data-mining for something more useful to society--like research and development. Transparency has become all the rage in medical publishing these days, which is a good thing. A recent battle between the Integrity in Science Project website and the journal Psychiatric Times is a great illustration of some of the more complicated issues involved. What makes this case especially interesting is that there is no “good versus evil” dynamic here. One on side of the ring is Merrill Goozner, a former business journalist who is the director of the Integrity in Science Project, part of the nonprofit organization Center for Science in the Public Interest. I know Merrill personally and can vouch for his ethics and passion for honesty in science. Standing in the other corner is Ron Pies, M.D., a psychiatrist and editor-in-chief of Psychiatric Times. Ron and I are friends and colleagues, and he is one of the most thoughtful people I have met on issues of ethics. In fact, he invited to write this two part article on conflicts of interest in psychiatry, which he published in Psychiatric Times two years ago, in November of 2006. We have two fine individuals scrimmaging over an issue they both care deeply about. So what happened? First, on August 1, Dr. Pies wrote this editorial in which he discussed Senator Grassley’s investigation of conflicts of interest, and announced that his journal would henceforth begin posting the financial disclosures of its entire editorial board. In response to Goozner’s backhanded complement, in the current issue of Psychiatric Times there is an unusual commentary entitled “Setting the Record Straight.” It is unusual in that it is written by both Susan Kweskin, the journal’s editorial director, and by Dr. Pies, who is the editor-in-chief. Fair enough, responded Dr. Pies, but it seemed to him that Goozner has chosen JAMA’s particularly long look-back period to “single out specific editors-in-chief and their publications” for subtle accusations that they are allowing conflicts of interest to bias the content. Furthermore, Dr. Pies scolded Goozner for failing to contact him directly to find out if he, indeed, had conflicts of interest that would continue to be relevant to his current responsibilities. Goozner has yet to respond to this latest installment of the drama. So who’s right and who’s wrong? Both. Goozner is right to be concerned about editors who have had recent financial relationships with companies related to their editorial work. While there is nothing magic about a five year vs. a one year look-back, it is probably true that editors who have received money relatively recently from a company are more likely to have their judgment affected than those who left the entanglements behind many years ago. However, in his zeal to root out the rascals, Goozner went overboard and skipped some of his due diligence. Dr. Pies in particular was not the person to go after, and Goozner could have learned about his reputation for honesty by asking anybody in the field. Furthermore, Goozner claimed that Robert Freedman, editor in chief of the American Journal of Psychiatry, also has drug company ties, but in his slap-dash web search he linked to the wrong person: a “Robert R. Freedman, PhD,” who is a professor of psychiatry and obstetrics and gynecology at Wayne State University School of Medicine, and who has no connection to the Psychiatry Journal’s Robert Freedman. As it turns out, the “real” Dr. Freedman indeed has had some connections to pharma, but it’s not clear what they are, or whether they are ongoing—this was a confusing issue that I once tried to clarify in correspondence with Dr. Freedman, described in this blog entry. Dr. Pies is right to be peeved about Goozner’s “broad brush approach to disclosure,” as he put it. I have certainly been guilty of this practice as well. The fact is that those of us involved in blogging and the media feel a constant pressure to publish something, and we really need to be more cautious about the claims we make. On the other hand, Dr. Pies has chosen to edit a journal more dependent on drug company funding than most. Unlike JAMA and the American Journal of Psychiatry, Psych Times is a “controlled circulation” journal. This means that doctors don’t have to subscribe to get it. 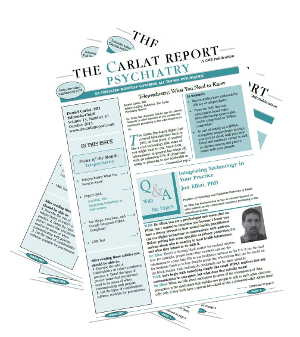 In fact, every month it is sent for free to over 40,000 psychiatrists. Just about every last dime of the journal's income comes directly from the pharmaceutical industry. Companies pay extremely high prices for their ads (here is the journal's rate card) precisely because the journal can guarantee that ads will be viewed by 40,000 sets of prescribing eyes. 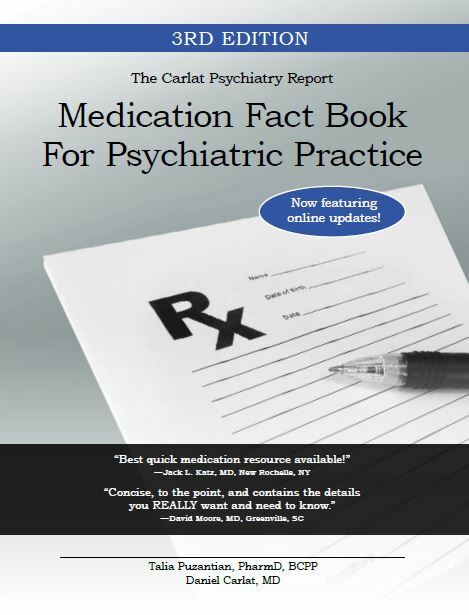 Furthermore, the parent company, CMP Medica, presides over a veritable industry CME empire, including the U.S. Psychiatric Congress, and produces industry supplements packaged with Psychiatric Times. (Dr. Pies has no editorial control over these supplements.) I reviewed one of these supplements last year, and found it to be a subtle advertisement for Bifeprunox, an antipsychotic made by the supplement’s corporate sponsors, Wyeth and Solvay. This is not to impugn Dr. Pies’ reputation, but rather to point out that he has an exceedingly challenging job of ensuring unbiased reporting in a journal that must, to a greater degree than many others, keep the drug companies happy to survive. Bottom line: Watchdogs like Merrill Goozner (and myself) are crucial during a time when medicine is finally taking a close look at its relationships with drug companies. But we need to be careful not to take an indiscriminate shotgun approach in our investigations. On the other hand, there are some ethical editors like Dr. Pies who have decided to work within an industry-supported environment, but who are trying to keep their journals’ noses clean. May the Force be with us all! Tom Nesi used to be the director of public affairs at Bristol-Myers Squibb. He quit, and now he is a whistle-blower. Welcome aboard, Tom! Last week's issue of U.S. News and World Report carried this interview with Nesi about his new book, Poison Pills: The Untold Story of the Vioxx Drug Scandal. You argue that in the context of pharmaceuticals, new is not always better. Why? It's extremely important that people understand that, as extensively as a drug is tested before it's approved [by the Food and Drug Administration], it's still tested on a very small population. It's also tested on a very select population. Drug companies don't go out to try to find the sickest patients to test their drugs on. [With older drugs], not only is there more data but more usage experience. Doctors know how to use it—they become familiar with it. An example in the pain market: When some of these non-steroidal anti-inflammatories were released, like Motrin and Aleve, they were actually given at doses that were too high. As the years go by, [drugs] can actually become safer. As a veteran drug marketer, you warn consumers to beware huge marketing campaigns for new drugs. In fact, you urge people to ask their doctors for proof that new drugs are superior to older ones before accepting a prescription for the newer medicine. I would say the larger the marketing campaign, the more you should use caution. 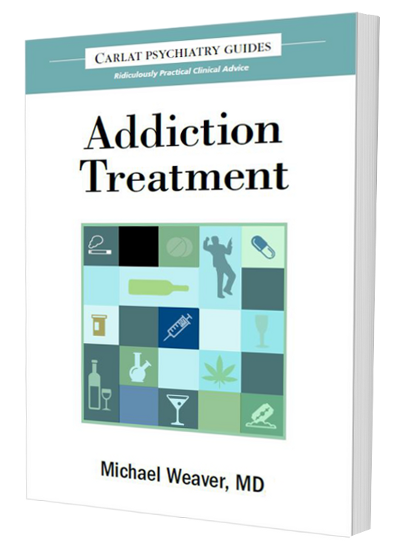 I would also say if there are good drugs in a category—in a type of illness that you suffer from—that have been out there for a while, there's no reason not to use those first. If you are interested in a more in depth discussion of Vioxx in particular, read this interview with Ed Silverman at Pharmalot. Looking for relief from the litany of economic bad news? 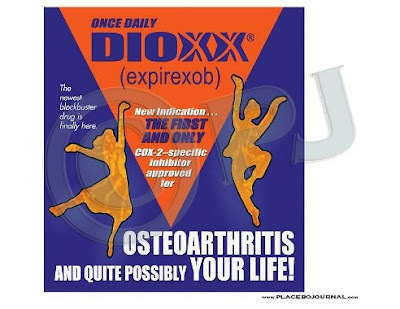 Then visit the Placebo Journal Blog, which I just discovered. 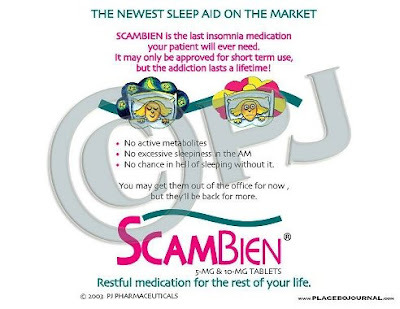 Especially appreciated are Dr. Farrago's drug ad send-ups, two of which, "Scambien" and "Dioxx," are reproduced below. Thanks for keeping us laughing, Dr. Farrago! Ever since the Vermont law was passed, many have wondered what on earth these “trade secrets” might be. A research letter published in this week’s edition of JAMA (Journal of the American Medical Association) finally provides the answer. The researchers, led by Dr. Joseph Ross at Mt. Sinai School of Medicine in New York, focused their analysis on those payments to physicians of more than $100 (the Vermont law requires disclosure of all payments of at least $25). There were 4743 payments that exceeded $100, totaling $3.2 million. 49% of these larger payments were trade secrets. The median trade secret payment was $500 per doctor, far greater than the median non–trade-secret–designated payment of $177. What kinds of payments were considered trade secrets? One would assume these would be for consulting arrangements in which doctors give advice about secret new products in the pipeline. But “consulting” constituted only 8.2% of trade secret payments. By far the majority of trade secret payments were for promotional speaking (43.2%) and for “educational” activities—presumably CME (41.7%). Most such gigs are well-publicized by mailings to doctors' offices, and they are typically for products that are already FDA-approved. Calling promotional speeches and CME events “trade secrets” is Orwellian double-speak at its finest. Luckily, the Physician Payment Sunshine Act, likely to be passed by Congress in the coming year, does away with this loophole.